We are committed to ending violence and discrimination against all people from the LGBTQ+ community and we want you to join us this May in creating safer spaces and raising awareness. 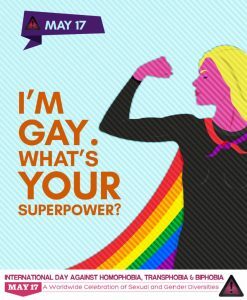 We ask that your business hang up May 17th Campaign Poster-WCS2019 to let your team know that your workplace does not tolerate discrimination and that all people are welcomed into your space. This could be placed in your staff room, restrooms or lobby. By choosing to hang this poster you can show your support in preventing homophobia, transphobia and biphobia in your community. We want to hear from you! Post an image of the poster in your office or with your team and tag @wheatlandcrisissociety with the hashtag #letsendabuse. Please join us on Saturday June 15th for a full day of entertainment in support of the Wheatland Crisis Society. Click here for the full Press Release – Under the Big Top. There will be a fun pop-up market inside the Civic Centre and 10am-4pm, featuring a wide variety of makers, artisans, designers, artists and small business owners. The market will include a Kids Zone with a bouncy house, crafts, games and circus themed entertainment. 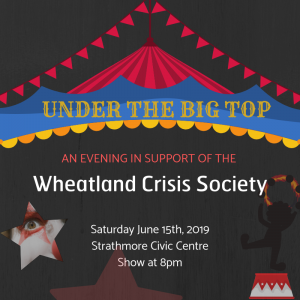 Following the market the Strathmore Civic Centre will be transformed into an evening of circus themed cabaret entertainment including roaming circus themed performers and live music featuring The Contraband. The doors will open at 7pm, the show will start at 8pm. Early bird tickets on sale NOW via Eventbrite here. 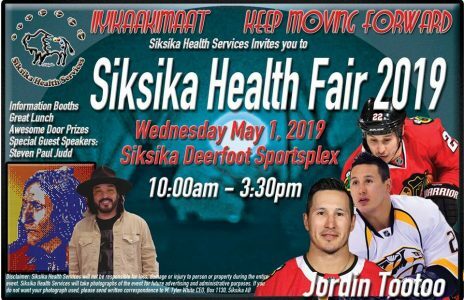 Please join us in attending the annual Siksika Health Fair on Wednesday May 1st. This event will showcase a wide variety of health and wellness services available. WCS team members will be hosting a booth highlighting shelter programming and supporting individuals with information surrounding family abuse and safety planning. A delicious lunch will be served to all attendees and we hope to see you there! Don’t be a bystander. Interrupt bullying and abusive behavior when you see it (if it is safe to do so). Choose kindness. 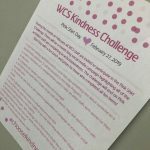 Our staff has challenged each other to a February dedicated to kindness. We will be participating in acts of kindness for each other, our community, ourselves and the environment all month long. 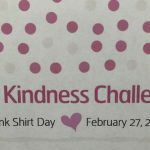 We challenge YOU to create a kindness challenge of your own! Support organizations and programs in your community that advocate for change. Click here to donate. Educate yourself, your children and others about what bullying behavior is and how to take a stand. Resources can be found here. 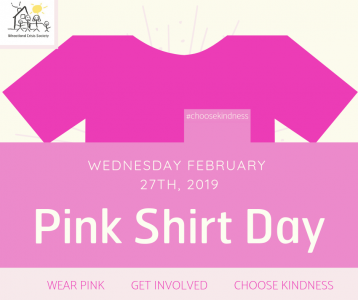 WEAR PINK WEDNESDAY FEBRUARY 27TH and show your school and community that you wish to raise awareness about the lasting effects of bullying and promote self esteem in youth. 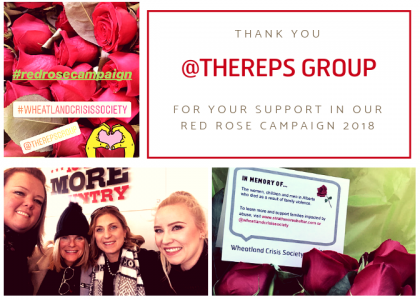 WCS staff and the RE/MAX Real Estate Reps Group delivered over 130 roses on December 6th to honour those who have lost their lives as a result of Domestic Violence. 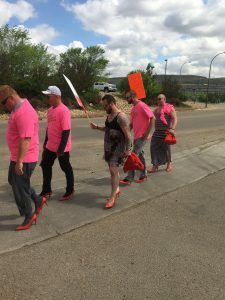 The Rose Campaign is a national advocacy campaign to end violence against women and girls. Each year YWCA Canada’s Rose Campaign to end violence against women and girls highlights what we can all do to make their lives safer. The Rose Campaign is named for the rose button that commemorated the murder of 14 young women at Montréal’s l’École Polytechnique on December 6, 1989, and called on Canadians to first mourn, and then work for change. 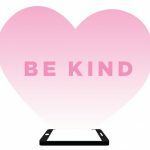 • Be kind and respectful in your daily life. • Speak up about violence in your community and in your school. • Don’t bully and don’t ignore bullying – abuse comes in many forms. • Support Gay Straight Alliances to make your school safer for your LGBTQ schoolmates. 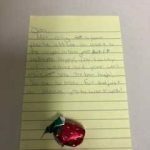 • Watch your language – what’s funny to you might be hurtful to someone else. • Don’t let it ride, when you know something wrong is going on, name it. In partnership with Chestermere Addiction & Mental Health Services and Sagesse The Wheatland Crisis Society invites you to register for this six-week peer-based group program that focuses on issues related to self-esteem and the importance of effective communication. 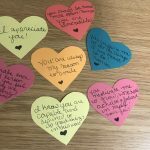 Topics include self-image, shame, compassion and the significance of healthy relationships – both with ourselves and others. Childcare is provided and registration is as simple as a phone call or email. 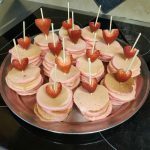 Contact Joanna at 403-934-6634 ex. 111 or wcs.out3@wcsab.ca or Yvonne at 403-365-5401 or yvonne.harris@ahs.ca anytime for more information or to register today. Space is limited. Thank you to the Spartan Alliance Diversity Summit & Resource Fair for inviting WCS to attend this inspirational event. Staff hosted a table at the resource fair and spoke to students and staff of the school about shelter services and healthy relationships. 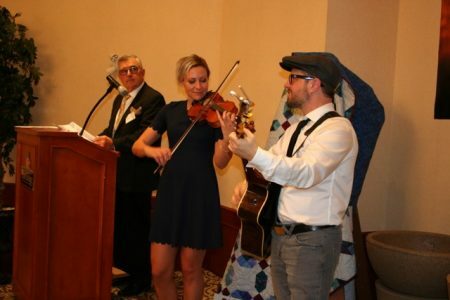 The event proved to be a massive success and WCS was proud to be a part of it. 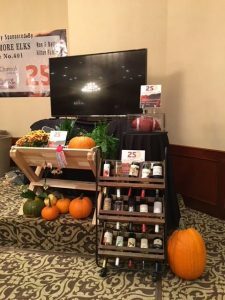 WHAT: The Real Estate REPs Group is holding a raffle in support of WCS from September 1-28, 2018. 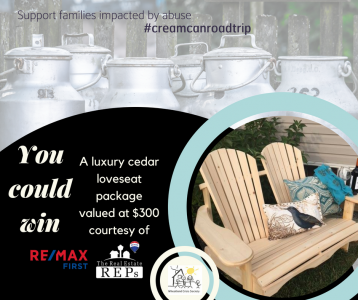 A luxury cedar patio loveseat package valued at $300.00 will be raffled off on September 28th to a lucky winner. 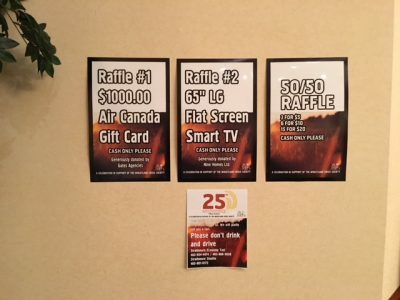 HOW: Raffle tickets are $2 each or 3 for $5 and can be purchased through any one of the Real Estate REPs members (Christa Aleman, Carey Rose, Michelle Eldjarnson & Hayley Poirier) OR at Assist Business Centre (216C, 4 Ave Strathmore AB). 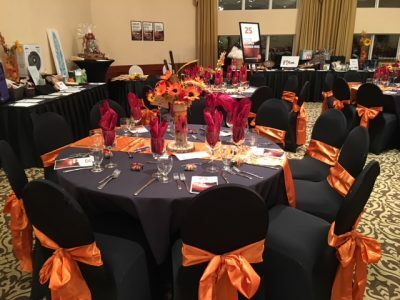 If you would like to purchase raffle tickets you can contact Hayley, Christa, Carey or Michelle or drop by Assist Business Centre (Monday-Friday 9:00am-5:30pm). WHY: All raffle proceeds will be donated directly into the WCS Cream Can. All funds raised by the Cream Can Campaign are used to directly benefit the families in our care with clothing, bedding, personal care items and more! Make sure to get your tickets for a chance to win this incredible item. CREAM CAN ROAD TRIP – NEW ROAD TRIP STARTS NOVEMBER 1ST 2018! 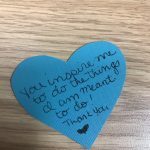 Are you looking for a way to make a difference in your community? Consider hosting our Cream Can for a month of its 2018/2019 road trip. 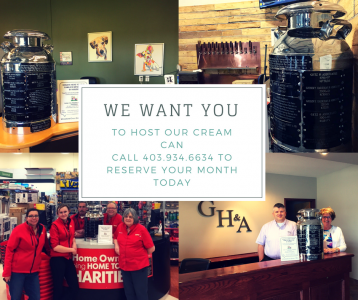 Twelve businesses can sign up to host the cream can for one month (or more) and collect as many donations as possible during the hosting period. “Travelling” starts for the year in November and the cream can relocates on the 1st of each month. 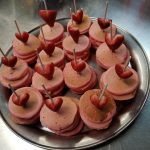 A tax deductible donation of $250.00 is collected as a host fee and each business or team is encouraged to get creative to raise funds. Recognition and advertisement of your business will be placed on our Facebook page and website. 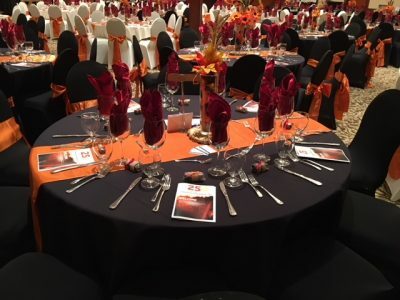 The business who raises the most funds during their month will receive special recognition, seating at our annual fundraiser gala event and best of all BRAGGING RIGHTS! Be sure to follow our Facebook page to get the latest details on the cream cans location and how you can help out! If your business is interested in hosting the cream can we want to hear from you! 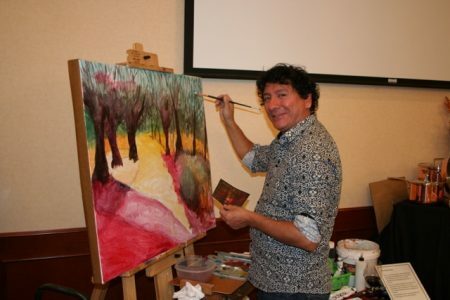 Please contact wcs.general@wcsab.ca or call 403 934 6634 for more details on how to participate. 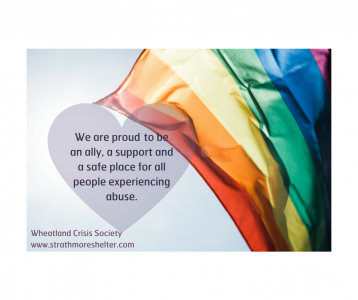 WCS was proud to be a part of the first ever Chestermere Pride event. A great day was had by everyone who attended with a free BBQ, a photo booth and the sounds of The Rondel Roberts Band. 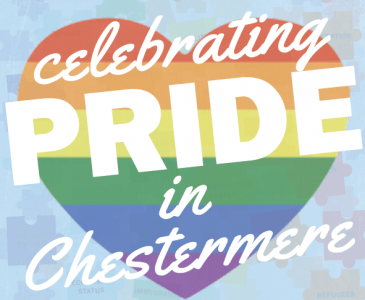 Make sure to mark your calender’s for next years Chestermere Pride week (August 20-26)! Staff and volunteers of the Wheatland Crisis Society were out all day at the Get to Know your Neighbor Festival meeting hundreds of community members. The booth was a hit with parents and children alike giving the kids a chance to win a prize with a very popular sucker pull. Everyone got to take home a planted seed of their choice to add to their garden. Community members were able to ask questions about shelter services and how shelter impacts the community in a positive way. 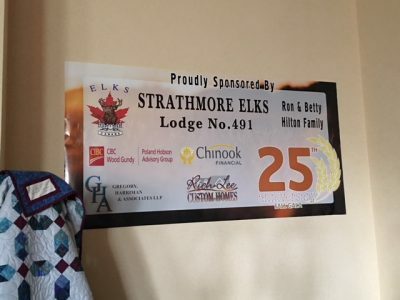 WCS is proud to serve Strathmore and area and cannot wait to take part in this festival again in 2019. 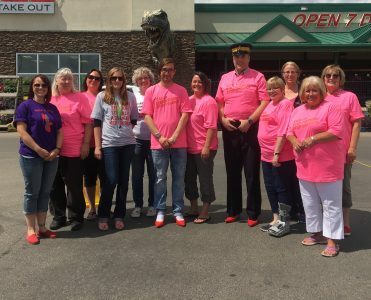 The Wheatland Crisis Society was excited to volunteer at the Walk a Mile in Her Shoes event hosted by the Big Country Anti Violence Association. 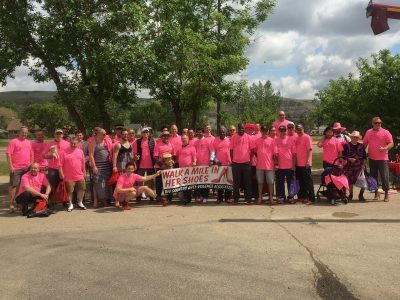 Over $9000.00 was raised in pledges by the men who walked the walk on May 30th. 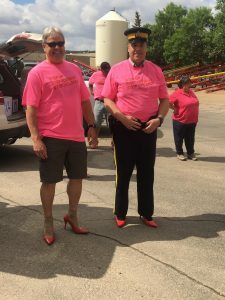 These donations will be used by the Big Country Anti Violence Association to provide help to victims of violence and sexual assault and raise awareness. 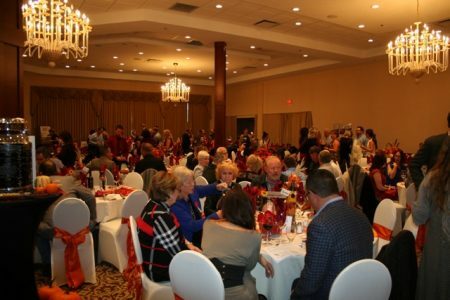 25th ANNIVERSARY FALL GALA – Saturday October 28th – THANK YOU! 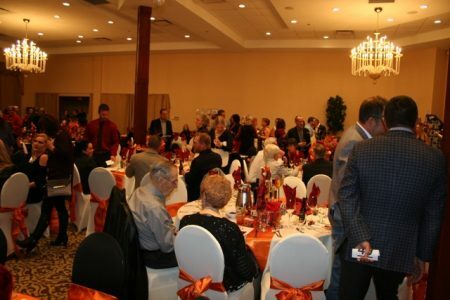 Our 2017 25th Anniversary Fall Gala Fundraiser was a huge success! 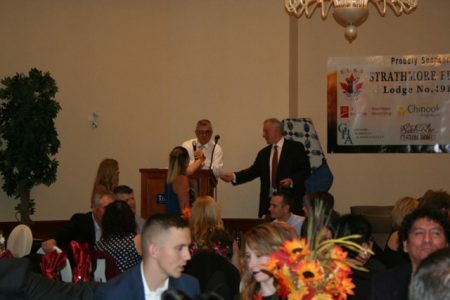 Thanks to everyone who attended, donated, purchased auction items, and bought raffle tickets. 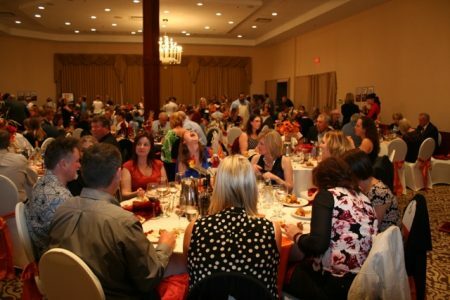 Visit the Our Supporters page for a full list of who helped families impacted by abuse.